Window cleaning is considered the most dangerous job in the U.S. and around the world. Several window cleaners die each year, and many are injured. 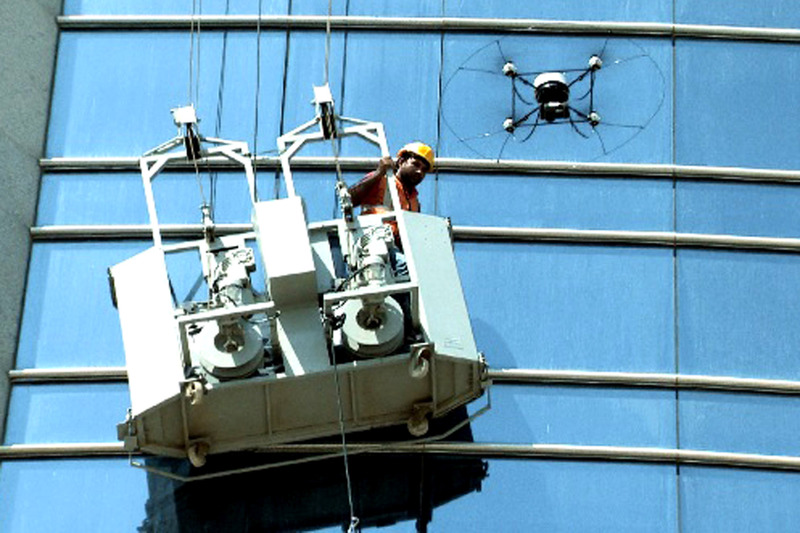 Recently, a wireless remote-controlled drone helped rescue an Asian window cleaner when he was cleaning the 10th floor of a high-rise building in the Capital Abu Dhabi when the motorized scaffold stopped working and started tilting dangerously. The drone, which belongs to the Security Media Department, first relayed messages to calm the panicked worker, then detected the technical malfunction of the scaffold and utilized audiovisual monitoring to instruct the worker how to repair the malfunction himself. Maybe we need to use drones for cleaning building’s windows instead of asking humans to.